Several themes emerge as the story of St. Raphael's life unfolds. 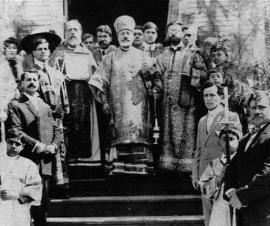 The first is the mysterious way in which God led him from his native homeland to the shores of the American continent. The second is his submissive attitude to the providence of God. And the third is his love for the people of God. 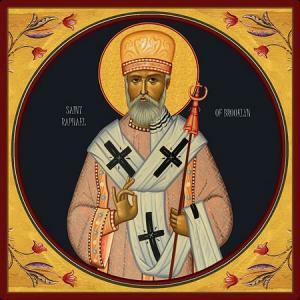 Though during his lifetime he was neither a wonder-worker nor a clairvoyant elder, St. Raphael embraced a life of total abandonment of self for the service of God and his fellow man: a life of true spiritual asceticism. 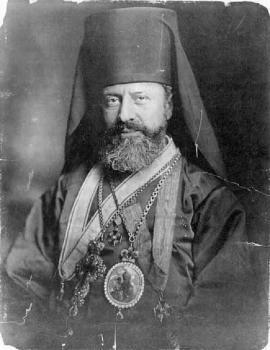 Our Father among the Saints, Raphael (Hawaweeny), Bishop of Brooklyn, was the first Orthodox Christian bishop consecrated on American soil. 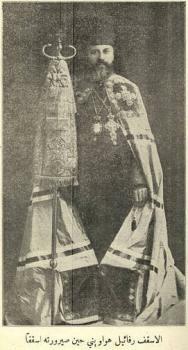 Traveling throughout the continent in the first years of the 20th century, he founded thirty parishes in North America. 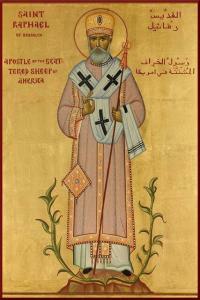 His feast day is celebrated in the Antiochian Archdiocese on the first Saturday of November. 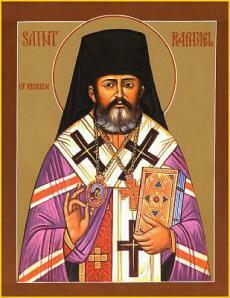 St. Raphael, a man of angelic name and apostolic fervor, was influenced by many cultures. 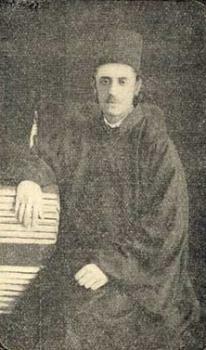 He was born and raised in the Middle East, educated by Greeks at Halki and by Russians at Kiev, and he spent the last nineteen years of his life as a missionary in North America. 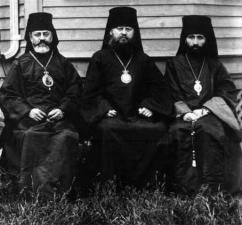 In 2015, the Antiochian Archdiocese celebrated the 100th Anniversary of the Falling Asleep of St. Raphael. 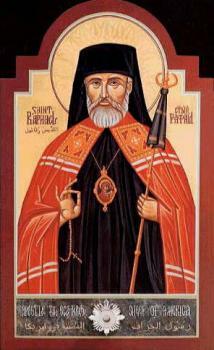 Today is the day we honor the holy hierarch Raphael! Who can describe his many sorrows and his many labors? Who can describe his many pains? He journeyed on land and on the sea, searching for his lost sheep, in weariness and in poverty, in sleeplessness, thirst and hunger. He became the good shepherd of the lost sheep in America, so let us cry out unto to him: O our Father, intercede for the salvation of our souls! 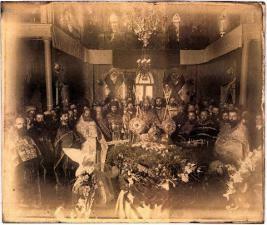 Rejoice, O Father Raphael, adornment of the holy Church! Thou art champion of the True Faith, seeker of the lost, consolation of the oppressed, father to orphans and friend of the poor, peacemaker and good shepherd, joy of all the Orthodox, son of Antioch, boast of America. Intercede with Christ God for us and for all who honor thee.